Discussion in 'Chainsaw' started by 944storm, Apr 14, 2019. 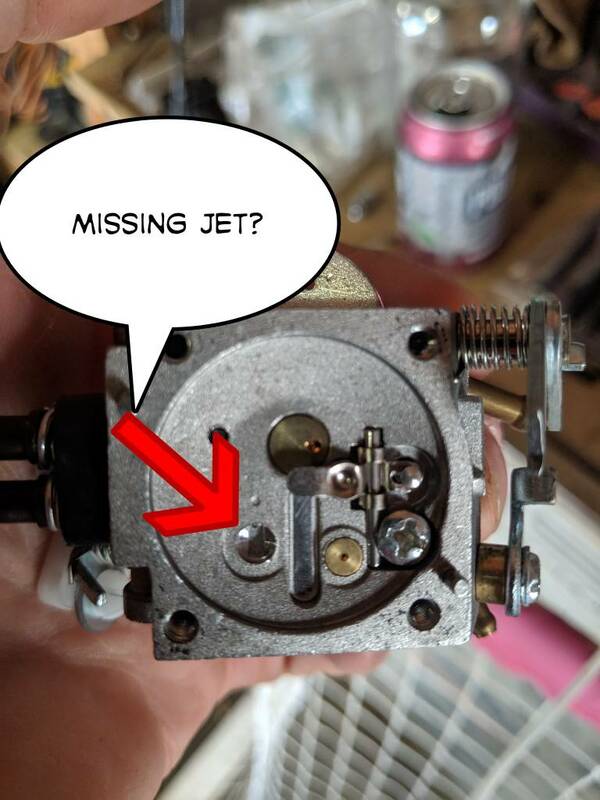 I recently bought a Zama carb, brand new, and it looks to be missing a jet. This is for a Husqvarna 365 special. I wanted to play with the Zama a bit. huskihl, pioneerguy600 and Woodslasher like this. Maybe somebody touched the Jett...Where? There! Lol I actually expected that! Just an update, called Bailey's, where I got the carb from, and they are sending me a new one at no cost to me. They get them direct from the factory and if it is missing a jet, they will make it right! That's good for me!